Access Portal Basic is free of charge and provides features that are normally only available through licensed software. 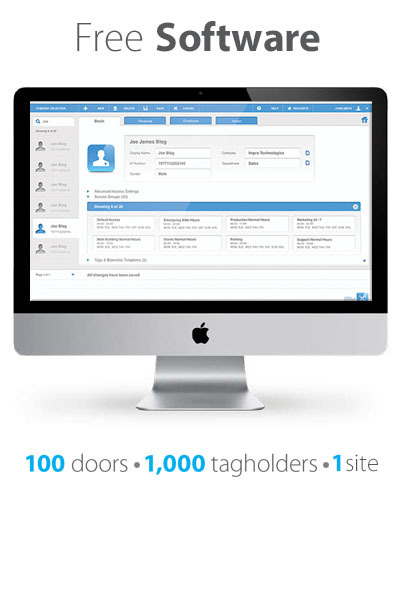 Installation is simplified with an auto-install function which includes the automatic configuration of your hardware to reduce the traditional time and complexity associated with setting up an access control solution. The system also includes a number of high-end features, not often bundled with free software, such as anti-passback doors (APB) and the ability to create custom design access cards. An added benefit is the ability to use biometric readers. Who should use Access Portal Basic?